Saturday, April 4, 2020 – Our 25th Anniversary! 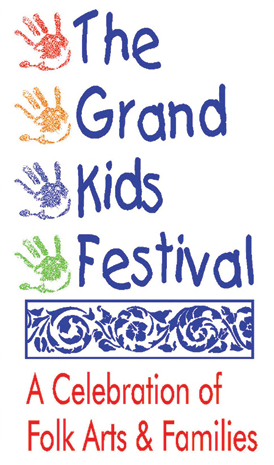 Mark your calendars now to celebrate with The Grand 1894 Opera House as we present the 25th annual Grand Kids Festival. Sure to be a day filled with non-stop performances and art activities on Postoffice Street in Galveston’s historic downtown Cultural Arts District between 20th and 23rd Streets. To view our photo gallery from the 2019 Event, or for more information on The Grand Kids Festival, please visit the festival website at www.GrandKidsFestival.com. We are currently accepting sponsorships for our 25th anniversary event in 2020 – email Sarah Piel for sponsorship information. Mary Ainslie, The Gladys B. Foundation in honor of Robert Richard Thornton, Lawyer; the Harris and Eliza Kempner Fund, Bank of America, and the Park Board of Trustees of the City of Galveston. Sponsors for the 2019 festival included: Jamail Galveston Foundation, Kathrine McGovern, Yaga’s Children’s Fund, The Permanent Endowment Fund of Moody Memorial First United Methodist Church, Ippolito Family Foundation, Bush & Associates, Rudy & Paco Restaurant, Galveston Rotary Foundation, Digital Vacation Quest, Eliza Quigley & Shawn Gutterson, Kroger, UTMB Health, CenterPoint Energy, The Kids Directory, Houston Family Magazine, KTOR Radio, Texas Commission on the Arts, and the Park Board of Trustees of the City of Galveston, as well as many friends of the Festival and in-kind donors.